On December 19, 2017, Congress passed the Tax Cuts & Job Acts of 2017. Our office has closely followed the progression of the tax bill through both the House and the Senate and through reconciliation to what was finally signed into law. The passing of the bill in late December presents many challenges and unknowns for many Americans. We hope that the information provided through this discussion can help answer some of your questions. The questions that remain will be answered as more knowledge is gained regarding the legislation and other answers will have to come through individual client meetings. If the below information does not answer all your questions, please call our office at (314) 720-8686 and set up a tax planning session today. Most of the tax law changes take effect in 2018 (under the Tax Cuts & Jobs Act of 2017) with a handful becoming effective in 2019. That means that nothing that was passed will impact your 2017 tax filing and returns. 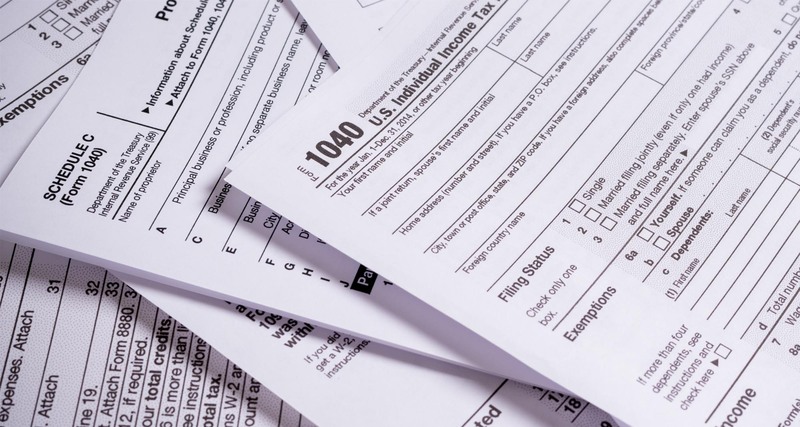 What are the new tax brackets for individuals? The current federal tax brackets for single, married or head of household filings fall into one of the current seven tax brackets and are based on your taxable income: 10%, 15%, 25%, 28%, 33%, 35% or 39.6%. Under the progressive US tax system, as income rises, so do taxes. The new tax rates can be found at the following link. What are the impacts on individual taxpayers due to the new tax bill? The standard deduction for married couples has increased to $24,000. Single payers will have a $12,000 standard deduction. The personal exemption is gone. Previously, you could the claim $4,050 for the personal exemption for yourself, your spouse, and each of your dependents. Beginning in 2018, the personal exemptions no longer exist. The child tax credit is increased to $2,000 per qualified child. The bill also allows a $500 credit for certain elderly dependents. 529 Accounts can now be used for the cost of sending children to public, private or religious elementary or secondary schools ($10,000 per year). Beginning in 2019, alimony payments made to ex-spouses are no longer deductible for the individual who writes the check. The Estate Tax exemption is doubled to almost 22 million. The individual mandate (penalty for not having health insurance) has been removed beginning in 2019. Beginning in 2018 your State and Local Income Taxes are limited to $10,000. Charitable contributions do not change. Student Loan Interest is still deductible up to $2,500 per year. No change from the prior law. Teachers can still deduct $250 of out-of-pocket expenses. No change from prior law. Electric Car Credit does not change. The act disallows a deduction for business entertainment, amusement, or recreation expenses. As well as disallows expenses for membership dues for any club organized for business, pleasure, recreation, or other social purposes. If you own or operate a C Corp, your corporation will pay a flat tax rate of 21%, while other service-based C Corporation could be subject to the 25% tax rate. Business owners of LLCs, Partnerships, and flow-throughs(flow-through entity or Schedule C) will get a 20% deduction of taxable income. Certain income earners making greater than $315,000 and offering specific services will not be able to take advantage of the 20% discount. We will be in contact with all our business owners to discuss the impact of the new tax law and strategies we will take to maximize after-tax profits for those business owners. Is there anything I should do before the end of 2017? For business owners considering a purchase or expense for their company, now is the time to spend money on those expenses you were considering putting off until 2018. Take advantage of the expense in 2017 against higher income tax rates. Along those same lines, if you are waiting on outstanding receivables, you may consider collecting those after the New Year. If you have season tickets to sporting events or entertainment, pay those expenses in 2017. Postpone Roth IRA conversion until 2018 when tax rates are lower. Pay all real estate and personal property taxes owed in 2017 before the end of the year. Pay all your estimated State and Local income taxes before the end of 2017. If you are a W2 employee and pay for unreimbursed employee business expenses, consider spending the money on those expenses before the end of 2017. The new law suspends the deduction for employee expenses paid after 2017. If you are an outside sales rep or in an industry where you drive considerable miles and are paid on a W2 without employer reimbursement, now may be an appropriate time to discuss with your employer about changing your compensation arrangement. Above is just a recap of the tax changes and year-end moves that should be considered. We will continue to study the new tax law and how it applies to our clients. We have learned enough to know that some taxpayers will see a reduction in taxes, while others will see their tax burden increase. As always, we will continue to work with all our client to minimize their tax burden and maximize their after-tax income. We are closely monitoring the effects of the Tax Cuts & Jobs Act of 2017. IRS Circular 230 Notice: Any tax advice included in this written or electronic communication (including any attachments) was not intended or written to be used, and it cannot be used by the taxpayer, for the purpose of avoiding any penalties that may be imposed on the taxpayer by any governmental taxing authority or agency.